As always the October issue of The Great Outdoors is the Challenge issue and there's a nine-page section with accounts from this year's event plus of course the all important entry form. My backpacking column is about the Challenge too. I'll be doing my sixteenth next year. There's much about Scotland elsewhere in this issue. Alex Roddie gives an excellent account of his Cape Wrath Trail walk, a tough walk made even tougher by June's stormy weather, while Ronald Turnbull recommends the Munro Tops in his usual entertaining style. Ed Byrne goes canyoning near Fort William and finds it more exciting than he expected. Roger Smith considers Glen Roy and the tangle of countryside designations in Scotland (NNR, SSSI, SAC, LNR etc) and calls for a simpler system (yes, please!). In The Hillwalkers' Library Jim Perrin praises Argyll: The Enduring Heartland by Marion Campbell. Away from Scotland Will Renwick visits a collection of interesting little hills on the fringes of the Brecon Beacons; Craig Weldon goes farther afield to climb the hills of the Faroe Islands; Karen Lloyd looks for golden eagles on the Riggindale Horseshoe in the Lake District; and Carey Davies does some serious scrambling on Milestone Buttress in Snowdonia. The Hill Skills section is a special on outdoor photography by Dougie Cunningham with some excellent advice. 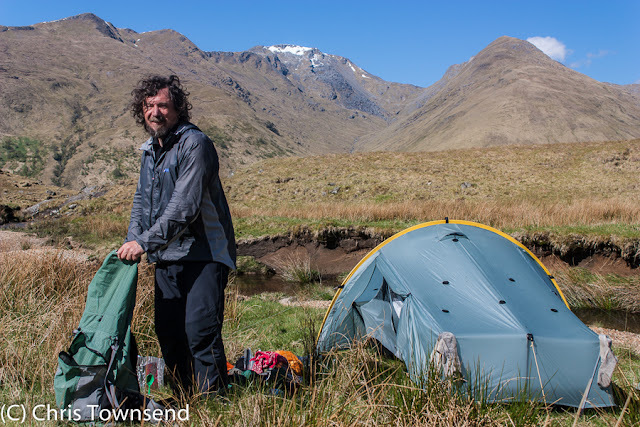 On the books page I review Stephen Neale's Wild Camping. In the Almanac section there's a report on archaeological discoveries in the Peak District and an interview with UK Adventurer of the Year Ash Dykes plan to walk the length of Madagascar. This section also includes details of The Great Outdoors Awards - nominations for the reader awards are now open. In the gear pages I review twelve 60+ litre packs and a nice pair of trail shoes from Grisport. With winter coming on Kirk Watson reviews reports on seven waterproofs suitable for severe weather.